Mining law reform passed one of two major legislative hurdles on Thursday, November 1 as the U.S. House of Representatives passed legislation overhauling the 135-year-old law regulating hardrock mining on public lands. A much more difficult fight is expected in the Senate. Matt Garrington of Environment Colorado, a statewide environmental nonprofit that assisted with passing the reform bill, says the bill’s provisions will empower local governments and land managers with protecting precious resources. “(The passage of the bill) is a victory for local control by empowering county governments to protect special lands within their counties from future mining projects,” Garrington noted in a November 1 press release. The House of Representatives passed H.R. 2262, the Hardrock Mining and Reclamation Act of 2007, in a 244-166 vote. The bill was introduced by Rep. Nick Rahall (D-W.V.) and later co-sponsored by Rep. John Salazar (D-Colo.) Congress has tried to amend the 1872 Mining Law several times in the previous 135 years, including 12 years ago when both the House and the Senate passed reform bills, but Congress adjourned before an agreement could be reached between the two chambers. 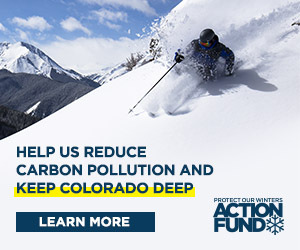 “I have heard from constituents in Crested Butte, the Summitville area, and throughout Colorado who want to protect our precious water resources,” Salazar said in a press release dated November 1. “After 135 years, I am glad the House has finally decided to act and I urge the Senate to do likewise.” According to Bob Salter, mineral resources director for High Country Citizens’ Alliance, passage of the reform bill will be more difficult in the Senate than the House because the Senate is filled with proponents of the mining industry who will fight the reforms. “We’ve never managed to pass anything in the Senate,” Salter said. “(The Senate) is populated with very strong supporters of the mining industry, like Harry Reed (R-Nev.), so it will be a much harder struggle.” Republican Harry Reed is the son of a gold miner and the Senate majority leader. Salter said it will be important for Colorado senators to hear from constituents, and encourages individuals to write letters in support of reforming the old mining law. Crested Butte town manager Susan Parker, who traveled to Washington, D.C., in September with town attorney John Belkin in hopes of being asked back to testify on behalf of H.R. 2262, says the Town is excited the bill passed the House and is optimistic the Senate will pass reforms as well. “We’re optimistic that Senator Ken Salazar and other senators will follow the House’s lead in helping local communities,” Parker says. Garrington is also optimistic about reform, saying, “We look forward to working with U.S. Senators Wayne Allard and Ken Salazar to pass substantial reform to the 1872 Mining Law that maintains the protections outlined in H.R. 2262.” Garrington said the bill empowers Forest Service supervisors and other federal land managers to weigh mining efforts with its effects on other uses such as hunting, fishing and drinking water. The Forest Service would have the ability to deny a mining permit based on the mine’s potential impacts, Garrington notes. The bill’s provisions, Parker says, are very important, considering the proposed mine on Mt. Emmons. “The protections within the reform bill will help local authorities further protect their communities from the historically devastating impacts of mining,” Parker says. The act’s provisions would also allow the Secretary of the Interior the right to say “no” to a proposed mine that would result in severe, irreparable impacts on public lands, and would allow state and local governments to request the withdrawal of federal lands from mining to proactively protect drinking water, wildlife habitat and other resources. “H.R. 2262, even though it was watered-down, still contains significant improvements from the current law,” Salter says. In addition, the reforms would impose a royalty on the production of valuable minerals similar to the royalties collected for oil, gas and coal produced on federal lands. The bill is proposing a royalty of 8 percent on new mines and 4 percent on existing mines. The royalty would help foot the bill for the cleanup of abandoned mines, which is estimated to cost up to as much as $70 million for all the mines. Western states are believed to have as many as 500,000 abandoned hardrock mines, with just under 20,000 in Colorado. “I consider the establishment of the ‘abandoned hardrock mine reclamation fund’ one of the most important features of the bill,” U.S. Rep. Mark Udall (D-Eldorado Springs) stated in a press release dated November 2. Udall voted in favor of the reform on November 1. The reform bill would also tighten environmental protection standards that mines must meet, especially related to reclamation. H.R. 2262 would require a mining permit to include a reclamation plan and evidence to finance the reclamation. “As a former mining community which already has one Superfund site, the provisions in this bill will help establish environmental standards and oversight for any future mining operations and funding for reclaiming abandoned sites,” Parker says. Even more important than environmental provisions, Salter says, is the provision that would end the patenting process. Public lands would no longer be sold for mining purposes. Currently, the 1872 Mining Law allows the sale of public land for mining purposes for $5 per acre. An area equivalent to the size of Connecticut has been staked for mining purposes across the west. U.S. Energy, a subsidiary of Wyoming-based U.S. Moly Corp. and one of the developers of the Lucky Jack mine on Mt. Emmons, purchased 155 acres on Mt. Emmons for only $5 dollars per acre. This ending of the patenting process “addresses one of the most erroneous components of the current law,” Salter says. Despite the reforms presented by H.R. 2262, Salter says, the fight to stop the proposed Lucky Jack mine on Mt. Emmons will require more immediate action. “We can’t wait for 1872 reform to solve our problems,” Salter says. U.S. Energy and Kobex Resources Ltd. are proposing the molybdenum mine on Mt. Emmons. US Energy acquired more than 5,000 acres in mining claims on Mt. Emmons and an accompanying water treatment plant as the result of a 2005 district court ruling. Mt. Emmons is believed to have one of the world’s largest deposits of molybdenum, used in the process of hardening steel. A bill amending the 1872 Mining law had not been introduced in the Senate as of press time.